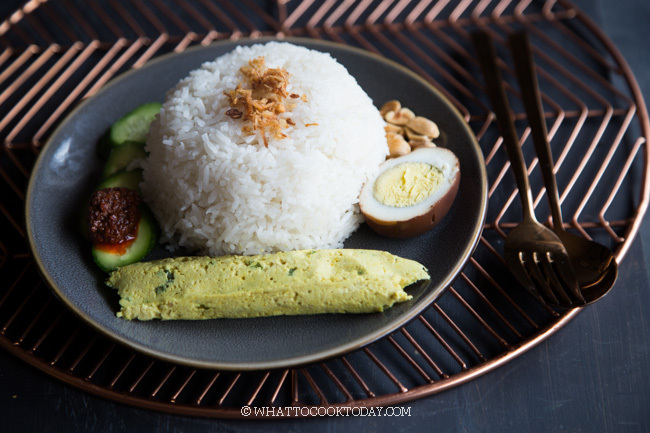 Learn how to make this super easy and flavorful Indonesian nasi gurih using rice cooker, Instant Pot, or on the stove. Perfect as a side dish. Gurih means delicious or tasty in Indonesian language. 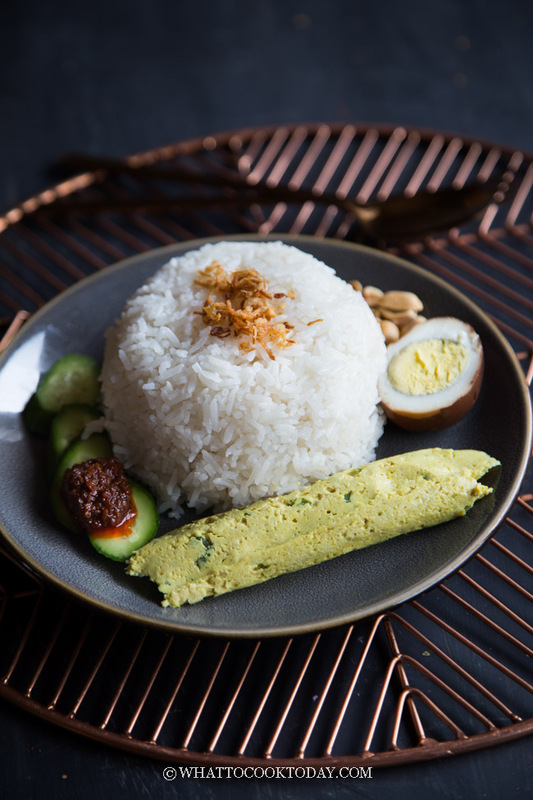 So nasi gurih literally means delicious/tasty rice 🙂 It’s a pretty broad term actually. 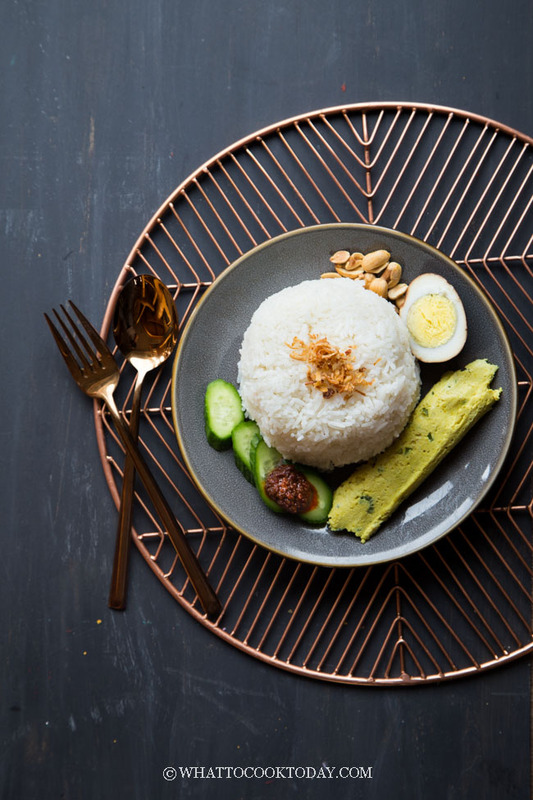 Nasi gurih is basically white rice cooked in coconut milk and herbs and/or spices. 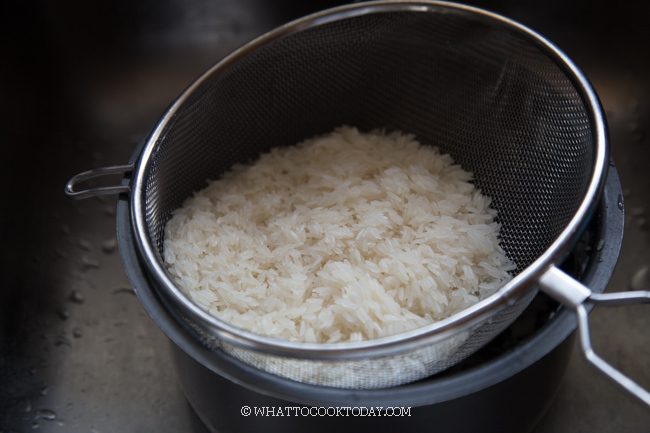 will add lemongrass stalks. I only use coconut milk and bay leaves. Pretty clean tasting but incredibly aromatic and rich tasting thanks to the coconut milk. 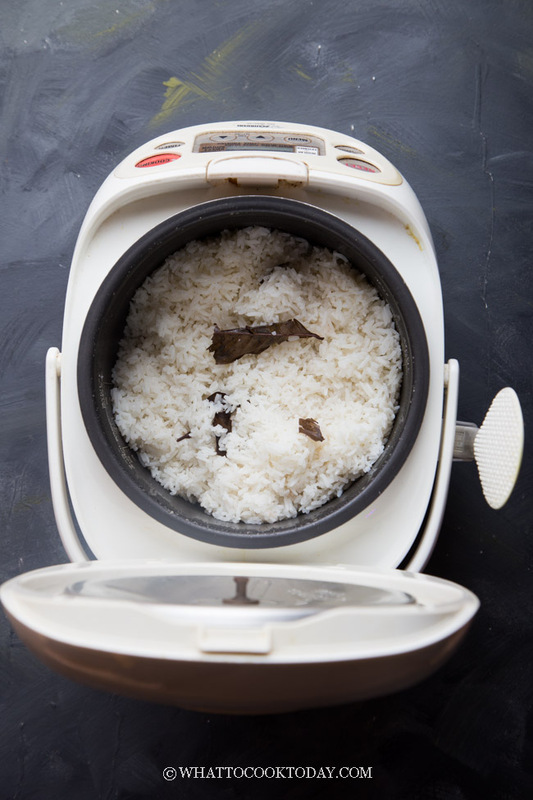 I use dried Indonesian bay leaves (salam leaves) that my mom brought me all the way from Indonesia. Indonesian bay leaves have different aroma compared to let’s say Indian bay leaves, Mexican bay leaves, or the American bay leaves. 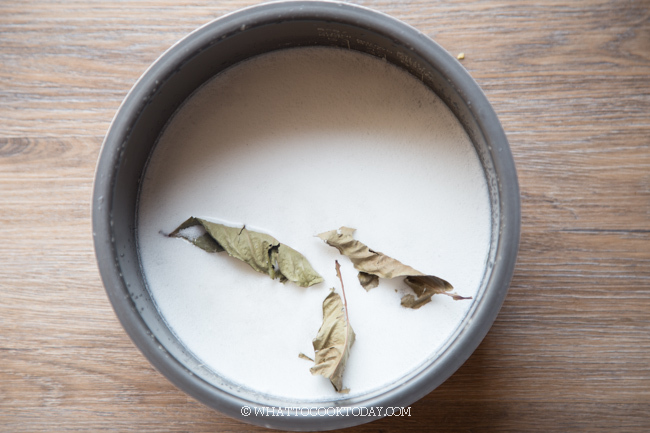 Some people call salam leaf as Indian bay leaves, but they are actually not the same. The closest substitution to salam leaf is Indian curry leaves. 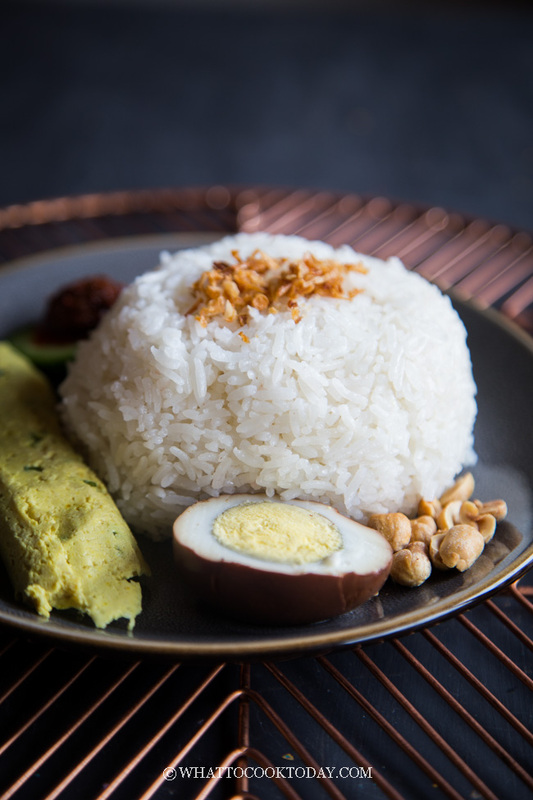 nasi lemak, nasi liwet, nasi kuning, nasi pandan. 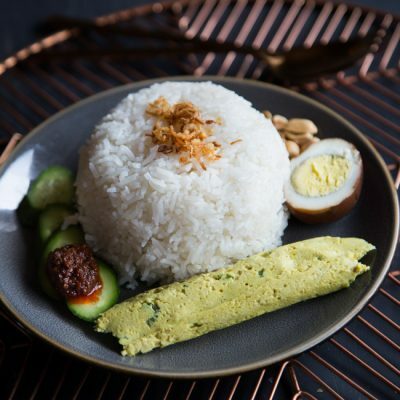 Learn how to make this super easy and flavorful Indonesian nasi gurih using rice cooker, Instant Pot, or on the stove. I am speechless when i browse thru your site. Very impressive. A lot of hard work, and dedication. You deserve an award. Being a home maker, sometime you tell yourself “whattocooktoday” even when there is so many availability out there. That is why I am so glad to have come across your site. Thank you and have a nice day and keep up the good work.